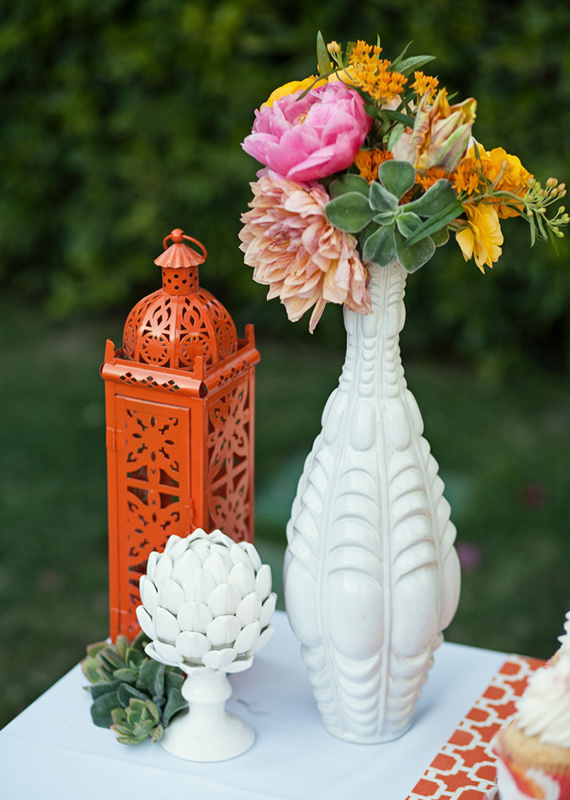 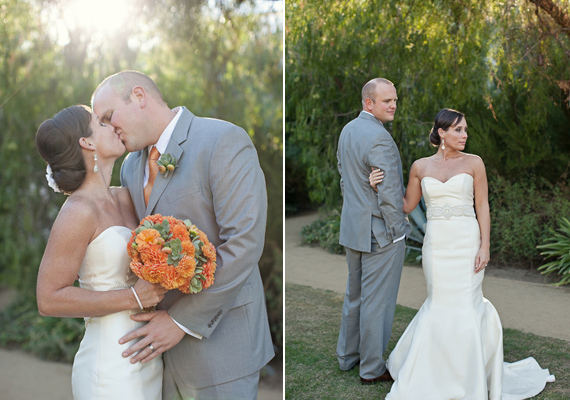 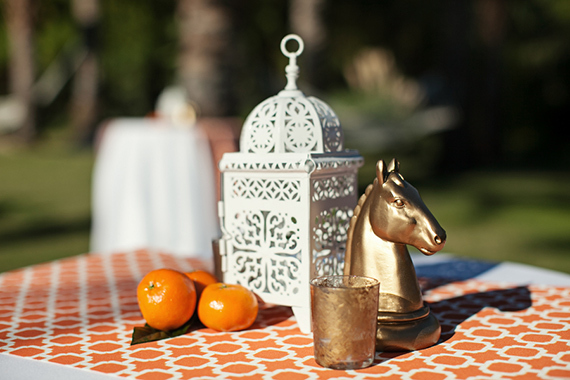 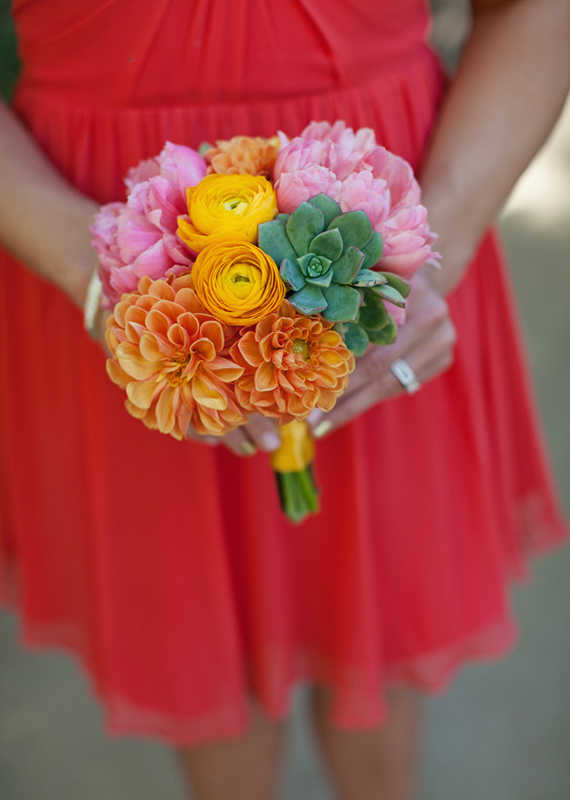 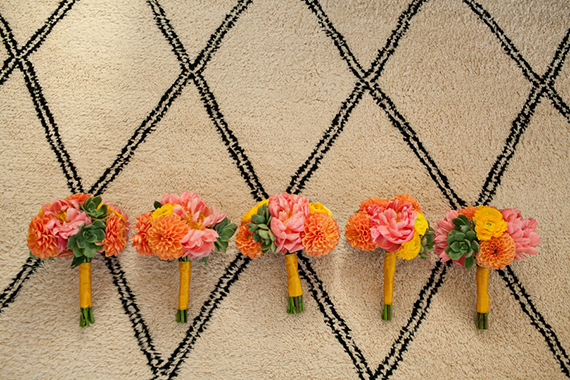 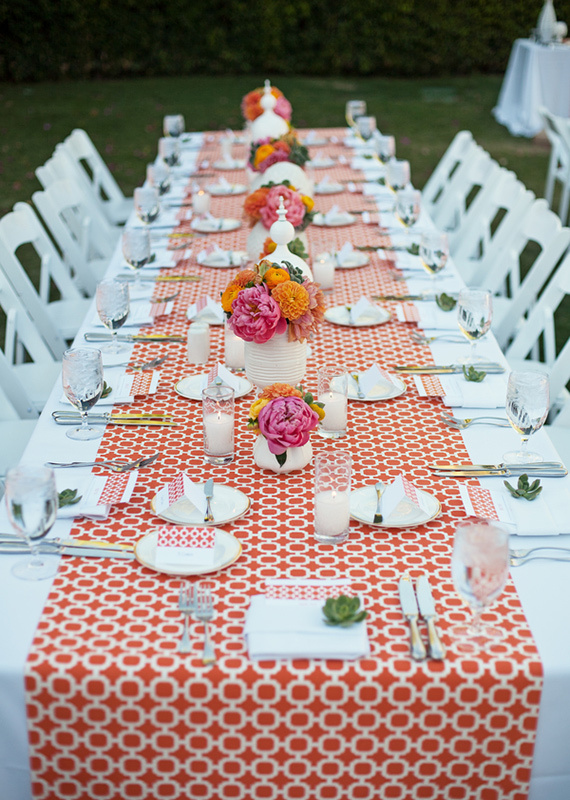 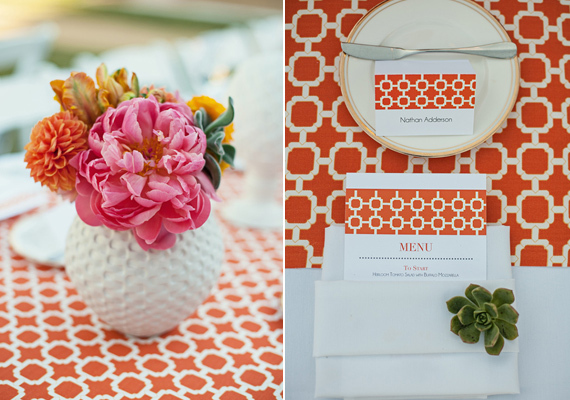 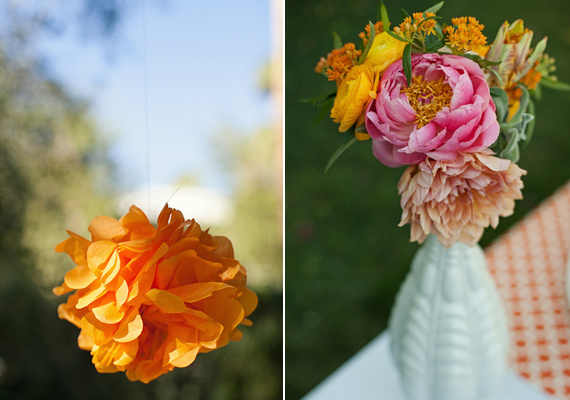 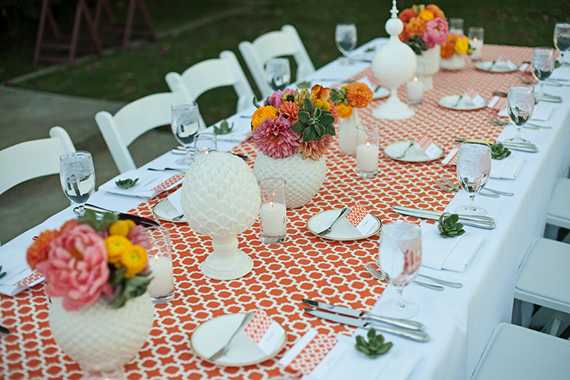 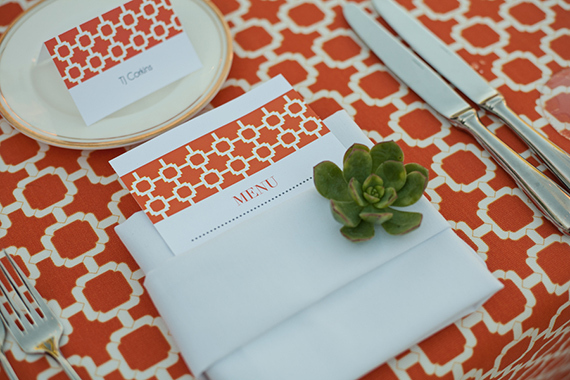 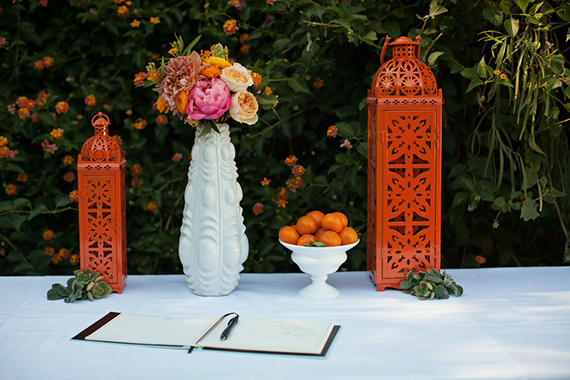 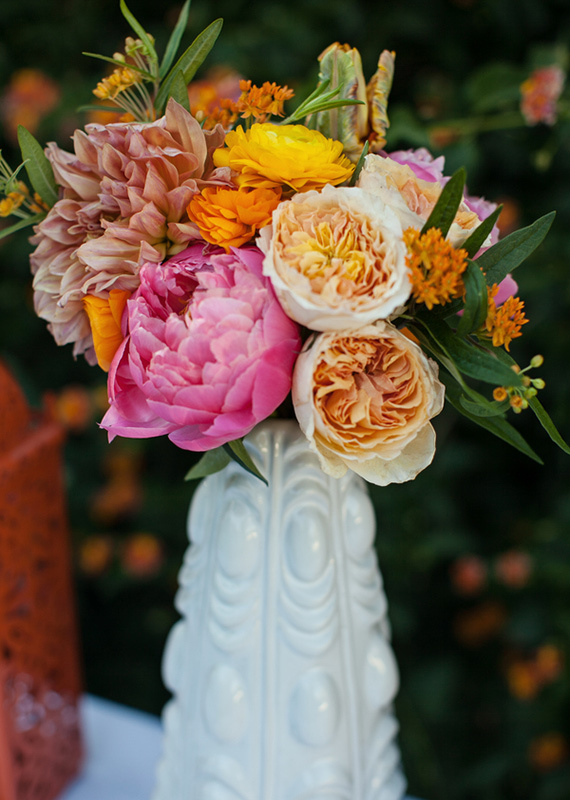 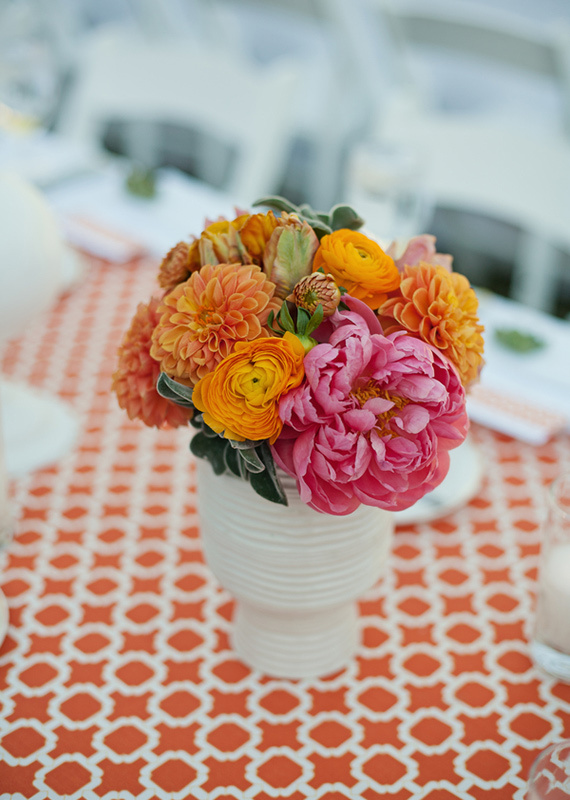 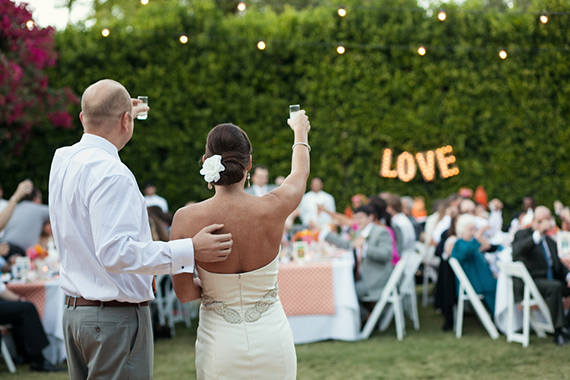 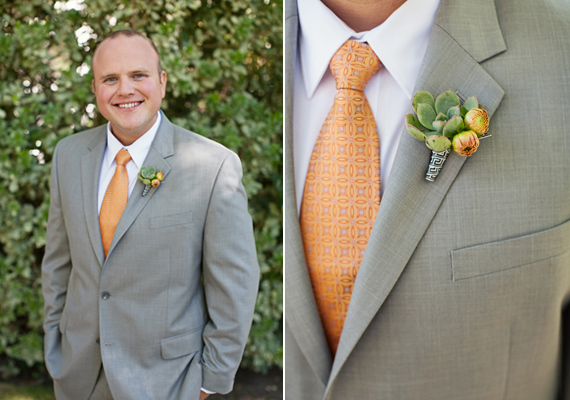 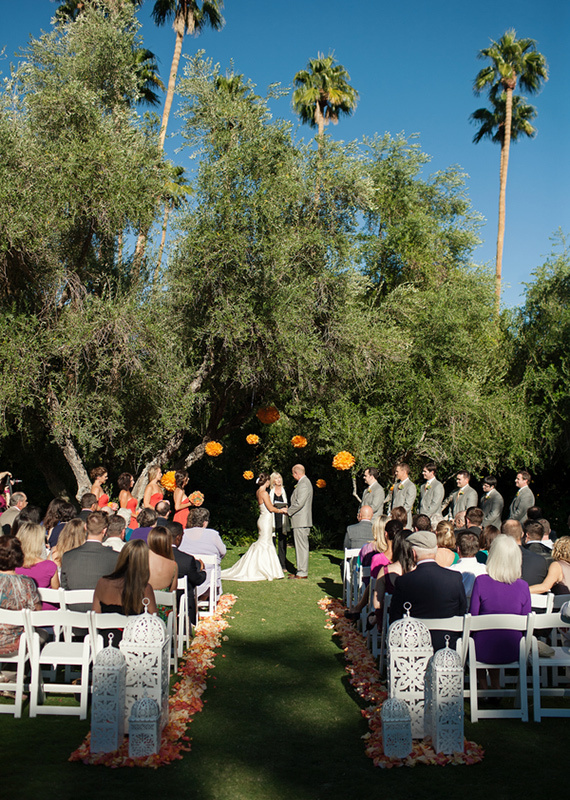 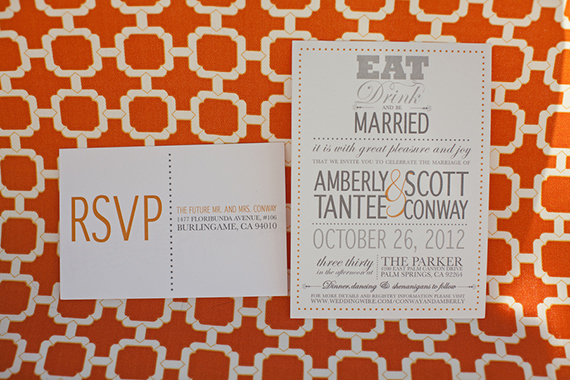 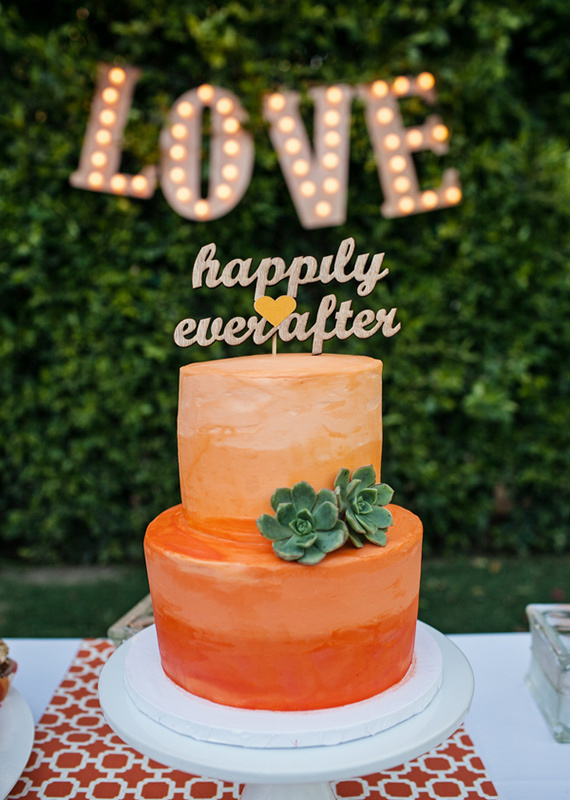 When you want a bright, fun and fresh wedding and aren’t afraid to have tangerine as the focal point of your decor, you play along with Amberly + Scott’s idea. 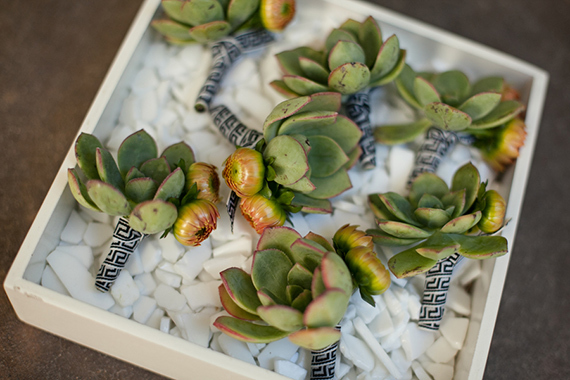 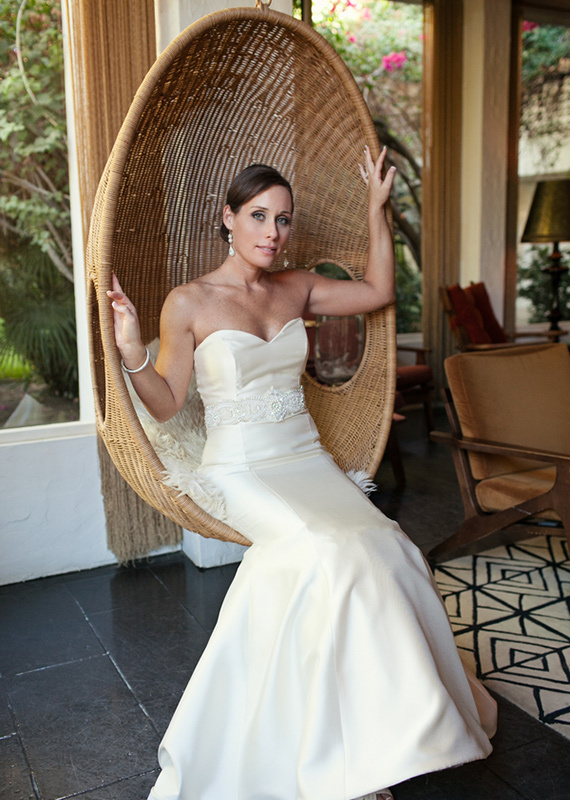 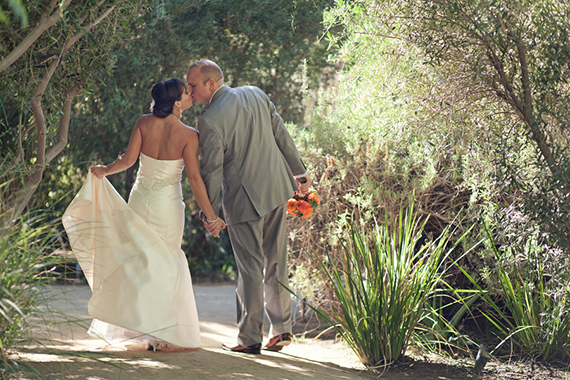 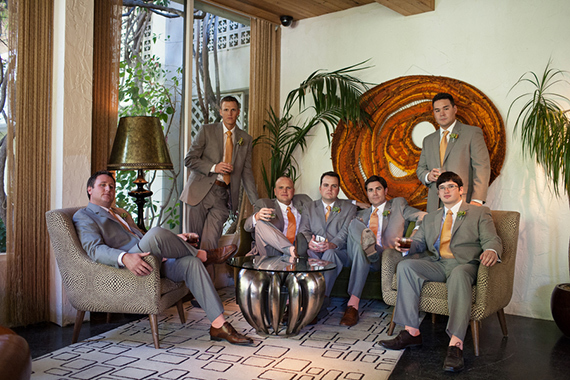 They were initially against the idea of getting married at a hotel, but the Parker in Palm Springs is not just any hotel friends… it’s the best of all worlds. 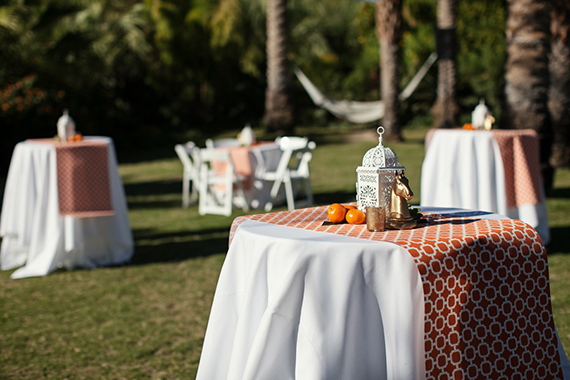 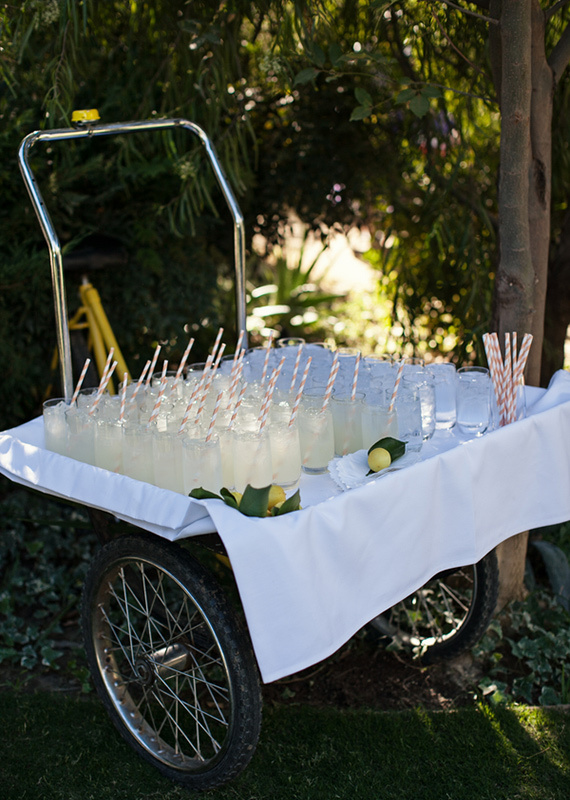 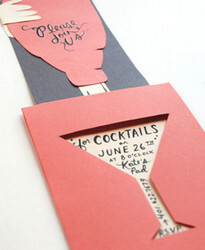 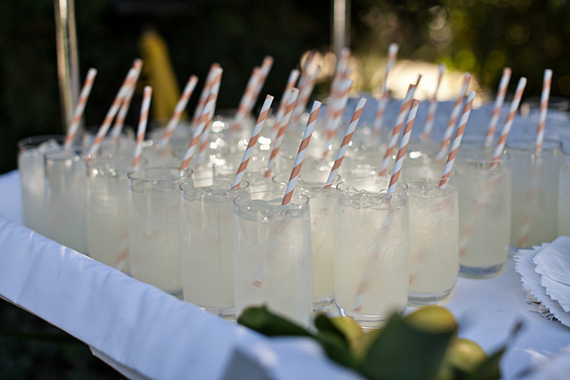 And as these two noticed, the energy of the space makes you want to have fun sipping drinks at the Lemonade Stand, relax by the pool, while still feeling upscale. 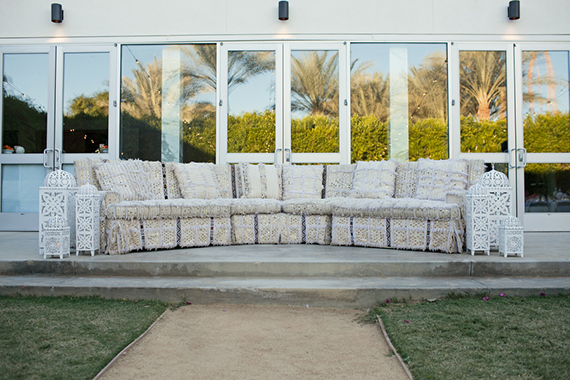 ‘Tis the beauty of Palm Springs, no? 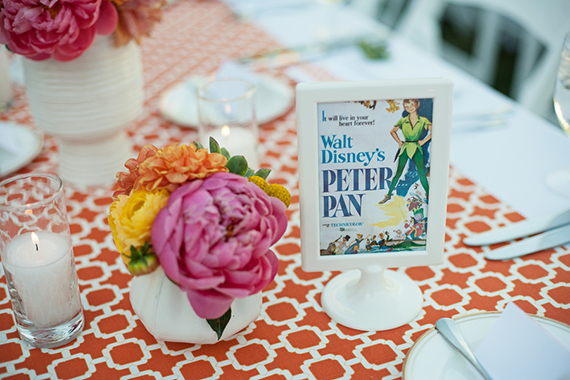 Their Disney themed table names were put together with frames from Ikea and printed onto to stock paper. 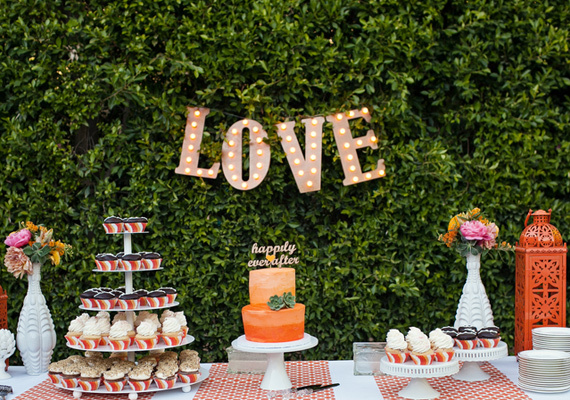 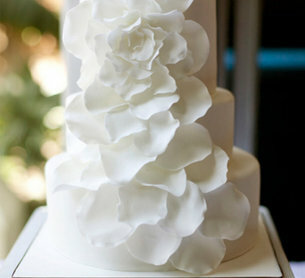 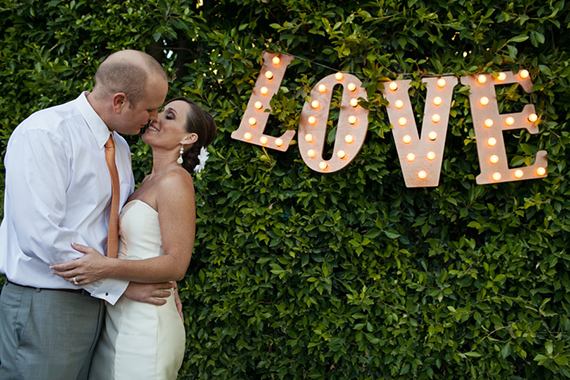 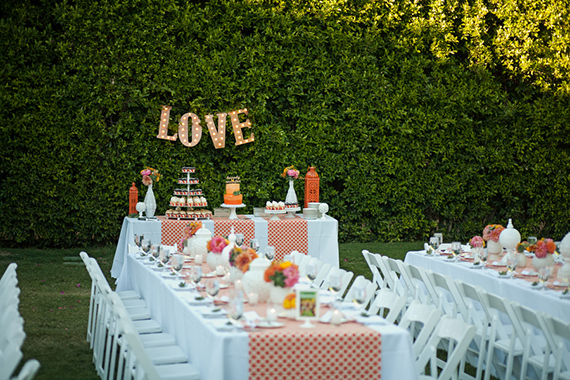 Scott created the “LOVE” marquee sign that hung behind the dessert table. 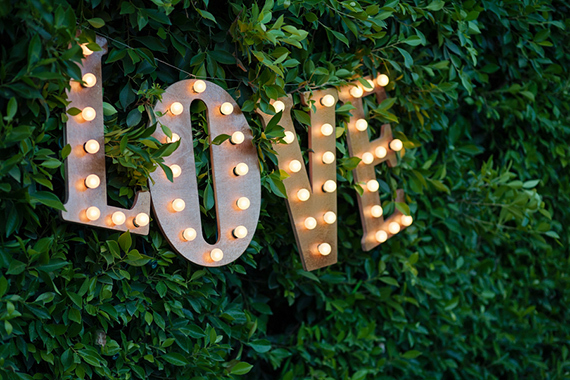 Where is the light up LOVE sign from?? 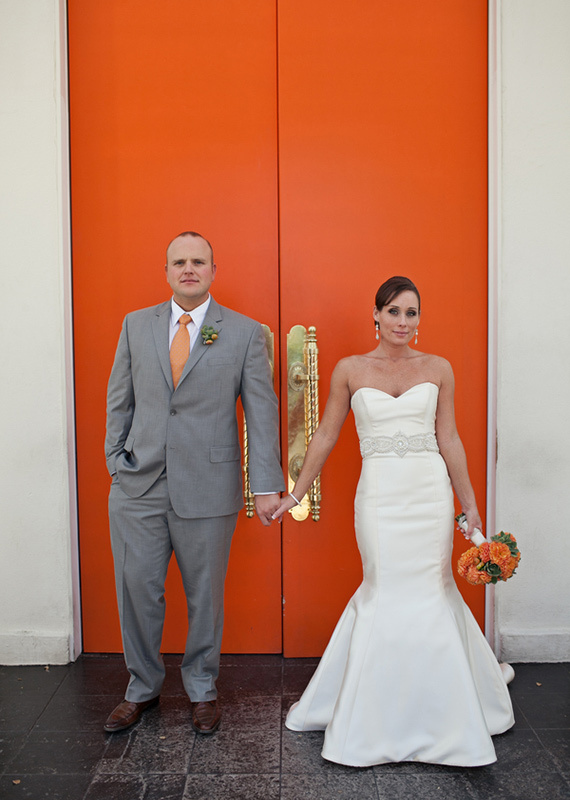 The burnt orange and white theme looked phenomenal together! 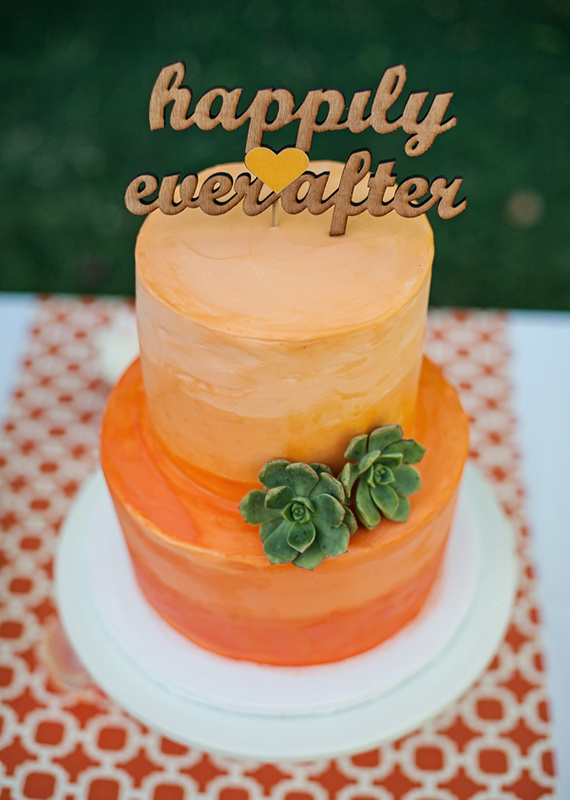 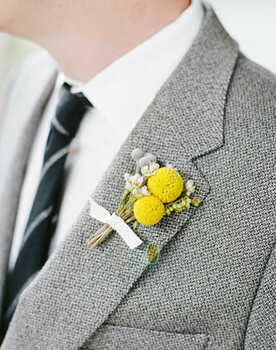 Very fall season, congrats to the newlyweds! 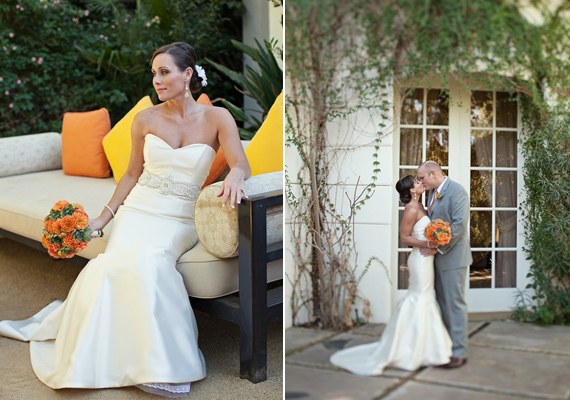 Absolutely beautiful wedding and venue!! 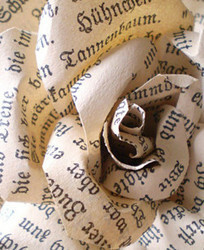 I'm going through a problem with viewing your page plainly in the newest version of Opera. 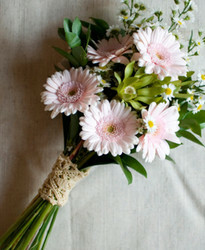 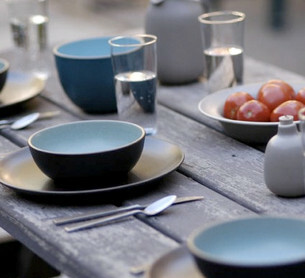 Seems to be great in IE and Firefox however.Use a lovely day.